Fun and good times can be had without leaving Sanctuary in the Cove. However, there is also much to see and do in the Coopers Beach, Doubtless Bay area of Northland. See our suggested 6-7 DAY ITINERARY for visitors who choose to actively explore our stunning environs. Fishing off the rocks right in front of your cottage. Swimming, snorkelling, diving, rock and beach walking. 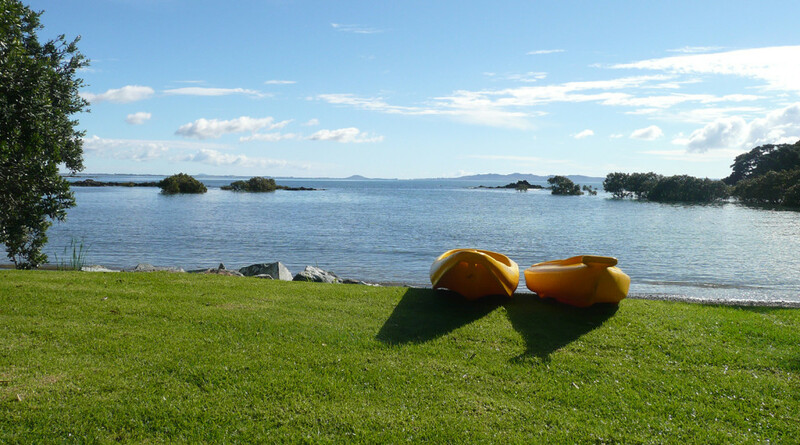 Kayaking, dinghy boating or arrange a private fishing experience. Massage can be booked during your stay. Laze on beach or lawn; morning coffee and/or evening glass of wine on the deck of your private waterfront retreat. 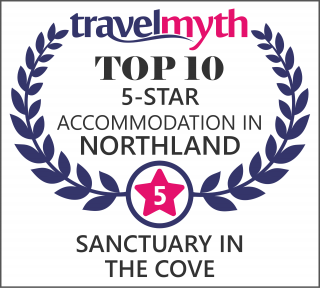 Sanctuary in the Cove is located within easy reach of many Doubtless Bay attractions. Coopers Beach /Doubtless Bay is one of New Zealand’s premier holiday paradises. Warm, sub-tropical climate throughout the year. Many choices of gorgeous and safe beaches. Art and craft shops in the historic settlement of Mangonui Doubtless Bay. A good selection of small town waterfront cafes and dining experiences. 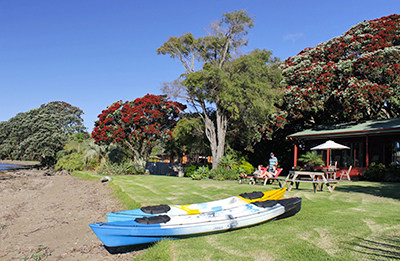 Try the Waterfront Cafe or the Little Kitchen (both in Mangonui) for excellent fare. You are within 45 minutes drive to internationally famed Kauri Cliffs and Carrington golf courses. Bush and beach walks are popular. Particularly interesting is the short climb on Puheke (Karikari peninsula) and the spell-binding Rangiputa beach below. 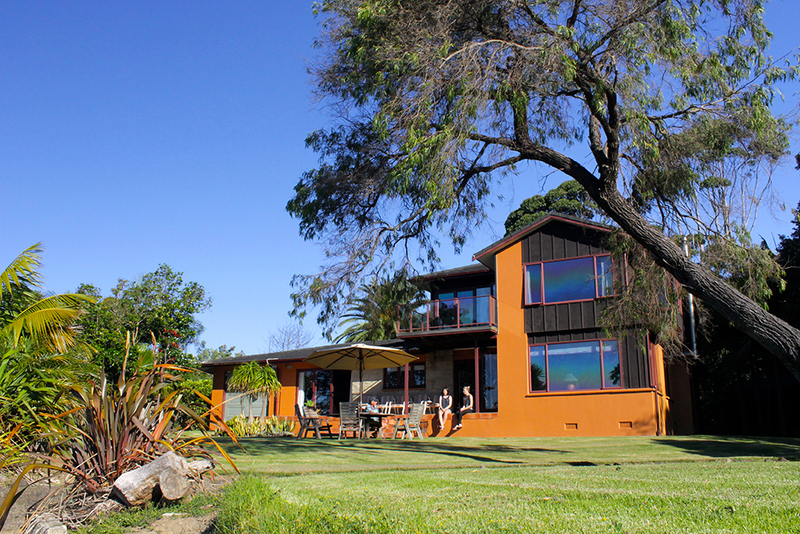 Sample fine wines at our local wineries; – Karikari Estate and Okahu Estate.